Most Koreans are familiar with the famous Chinese phrase that goes “Maengmo-samcheon-jigyo.” The idiom refers to the well-known legend of Mencius’ mother who moved house three times to find the most suitable environment for her son’s education. The saying underlines the importance of a proper environment for a child’s upbringing. In that regard, a family that has been in music for generations is likely to produce descendents who are musically gifted or bring up children with outstanding musicality even if they are not pressured to acquire any musical skills. They are endowed with musical gifts in their mother’s womb before they are born, and as they grow they naturally accept music as part of their lives. These days, there are quite a number of gugagin, or traditional music players, who continue to pass down Korean classical tunes from generation to generation. Among them is master singer Ahn Suk-seon, who we’ll learn about today. Myeongchang Ahn Suk-seon is named the nation’s Important Intangible Cultural Asset No. 23 and the artistic-talent holder of gayageum-sanjo and byeongchang. She is such a celebrated traditional music singer that most locals know of her. For the first music piece of today’s program, let’s listen to a southern region folk song titled “Spinning Wheel Song” by Ahn Suk-seon and Kim Dong-ae. The folk song is likely familiar to most women who grew up in the southern region and they must know a measure or two by heart even if they are not professionally trained sori singers or master singers. Ahn may have also acquired the tune at an early age as she listened to her mother or neighbors singing the melody while spinning the wheel. She could perform in such a delightful way thanks to her childhood memory of singing the song. Master singer Ahn Suk-seon was born in Namwon, North Jeolla Province, in 1949. The city is also well-known to the public as the hometown of Chunhyang and the town of pansori. Ahn’s mother’s cousin is Gang Baek-cheon, the artistic-talent holder of daegeum-sanjo. Her maternal uncle is master singer Gang Do-geun who is the artistic-talent holder of pansori and her maternal aunt Gang Soon-yeong is also named the Intangible Cultural Asset of South Gyeongsang Province and the title-holder of Shin Gwan-yong School Gayageum-sanjo. As you can see, her mother’s family has been in traditional music for generations. Ahn started to learn the basics of sori from her maternal uncle and aunt since she was nine years old. After graduating from a high school in Namwon, she moved to Seoul and started to receive lessons on pansori Heungbo-ga and Chunhyang-ga from master singer Kim So-hui. That’s how Ahn got into the world of traditional sori. Since 1986, she began to perform the entire score of all five sets of pansori one by one and began to be recognized as one of the leading master singers of the next generation. Later on, she also made efforts to exchange Korean classical music with a wide variety of other music genres or other artists as she showed interest in the modern adaptation of pansori. This time, let’s lend our ears to one of the representative pansori pieces, “Heungbo-ga,” with a modern twist. That was a section of Heungbo-ga describing the scene of Heungbo halving the huge gourd filled with treasure. Ahn sings to the accompaniment of a saxophone performance by Wolfgang Pushnig. The year 2011 is coming to an end, and 2012 is the year of the black dragon which returns every 60 years. Like the exciting tune we just listened to, our staff wishes our listeners all the best of luck next year, just as Heungbo’s house became bountiful with rice and money. The performance of singing the entire score of pansori wasn’t common in the past. Normally, sori singers used to sing only some parts of the piece according to the atmosphere of the venue where the show was held. But in the 1960s, master singer Park Dong-jin started to present the entire piece of a pansori, from the beginning to the end. While a short pansori takes about three to four hours, a long piece such as Chunghyang-ga takes about a whopping eight hours. 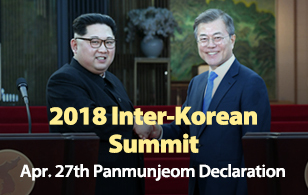 Since it was an extraordinary performance, one wouldn’t dare to showcase the entire piece of pansori without considerable time devoted to practice. The only two sori singers who sang the entire piece of pansori before Ahn were myeongchang Park Dong-jin and Oh Jeong-suk. Ahn could make quite a name for herself as a master singer because of her diligent attitude in exploring new fields, and she also led whatever she considered to be worth developing. She also learned gayageum-byeongchang from master singer Park Gwi-hui. As a result, Ahn became the nation’s Important Intangible Cultural Asset and the artistic-talent holder of gayageum-byeongchang, too. 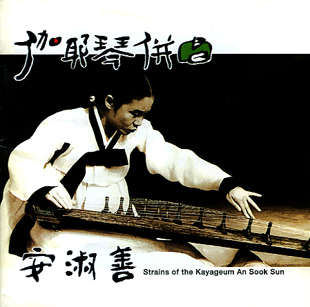 We’ll wrap up today’s show as we listen to the gayageum-byeongchang danga Honam-ga played by Ahn and her younger sibling.